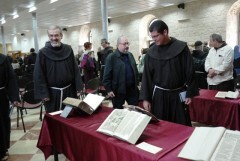 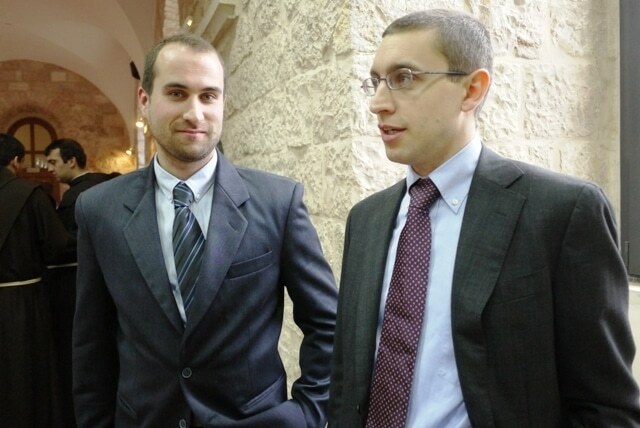 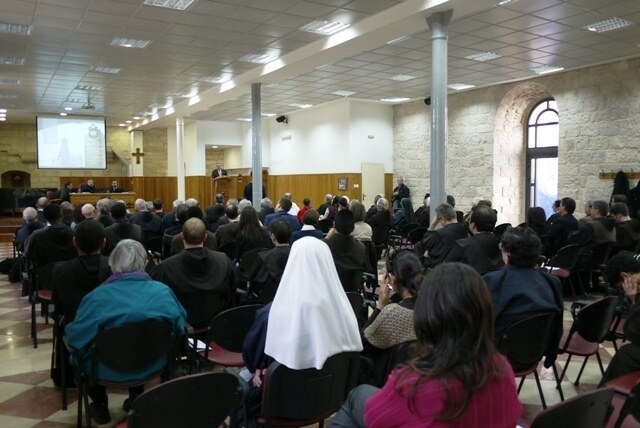 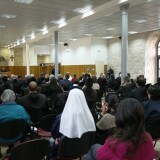 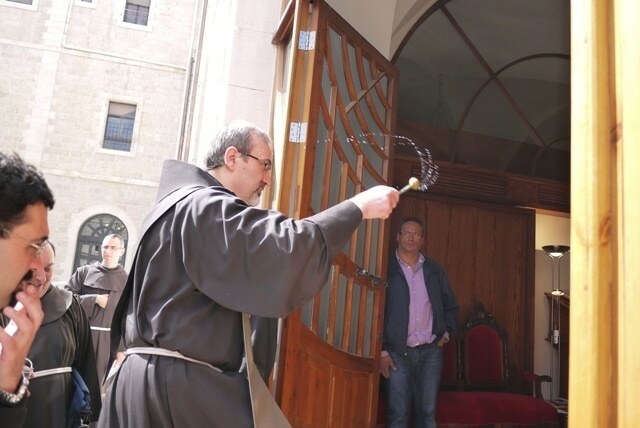 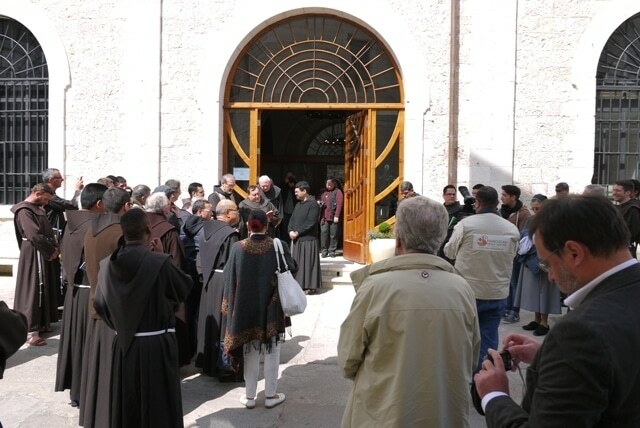 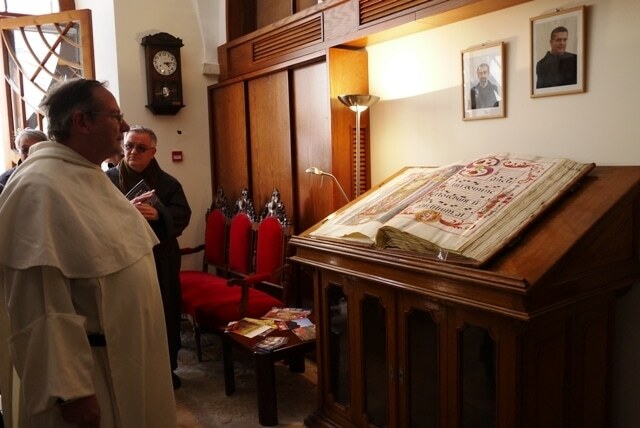 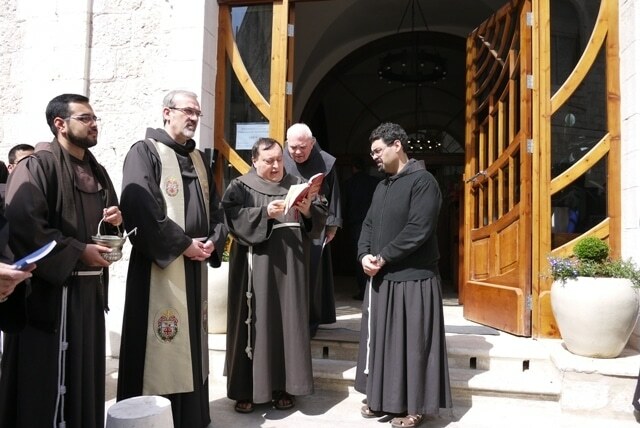 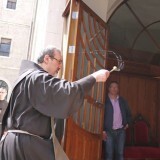 home / Multimedia / The Holy Land in news / The inauguration of the Library and the Archives of the Custody: ..
On Thursday 28 February the inaugural ceremony for the General Library and the Historical Archives of the Custody of the Holy Land took place. 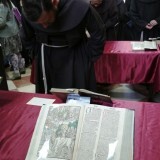 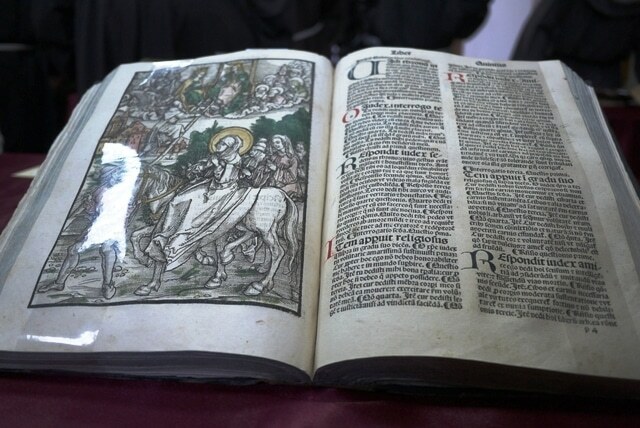 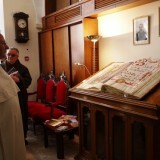 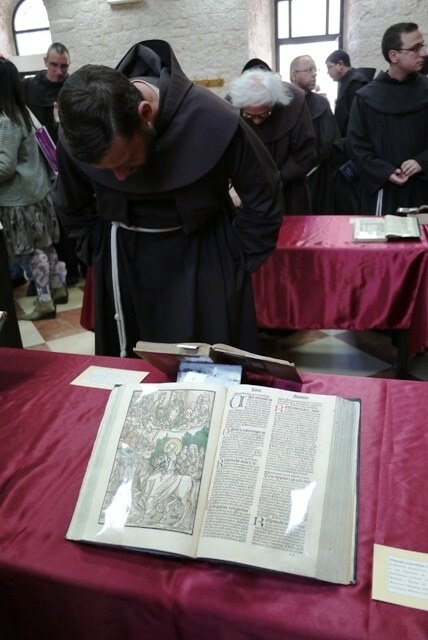 Attendees were also able to admire the splendid volumes from the exhibition “Books of the Holy Land. 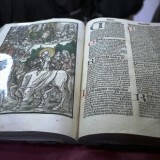 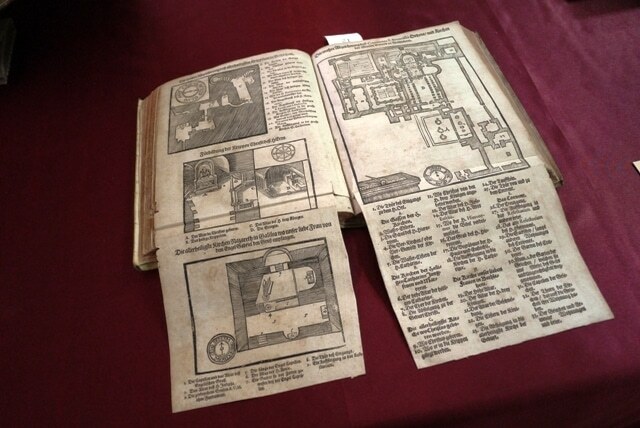 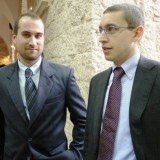 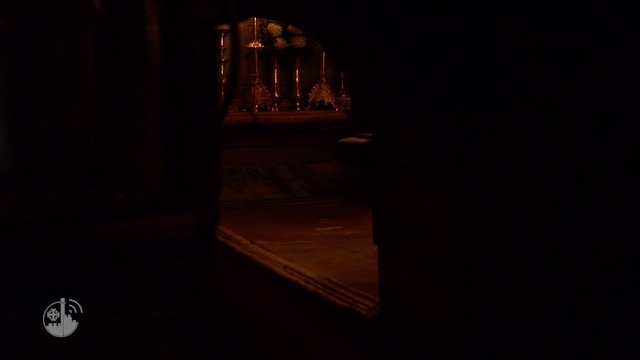 A journey among the ancient books of the General Library of the Custody of the Holy Land in Jerusalem”. 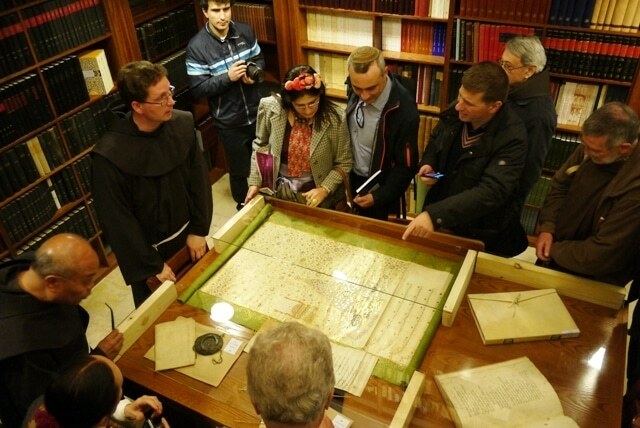 The project “Books, Bridges of Peace”, whose objective is that of enhancing the great library and cultural heritage of the Custody of the Holy Land, has been implemented over the past year through the unceasing efforts of ATS pro Terra Sancta. 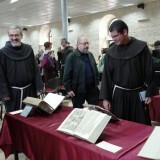 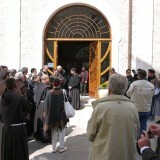 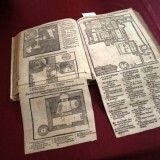 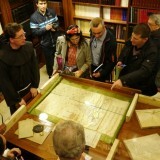 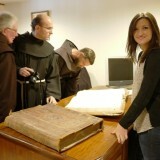 This has involved the participation of numerous researchers and cataloguers and a Civilian Service volunteer, many of whom were present at the inauguration, and profited from the valuable work of volunteers from the Associazione Romano Gelmini who transferred all of the books from the old site to the new one.